This new door eliminates the need for accompanied access visits, as there is no need to meet anyone to collect keys or provide access. Users can be given remote access as and when needed and for an agreed period of time. In addition to all the security benefits of the door itself, the lock also acts as an access reporting system as it gathers detail on who accessed the property and at what time the door was unlocked. "The VPS SmartDoor is the result of 18 months of intensive product design and development and it represents a significant investment. It has been designed in partnership with customers and provides clients with a robust security solution" said Ian Nisbet, Managing Director, VPS UK and Ireland. "When a property or unmanned site is left unoccupied, it has to be made safe and secure immediately. A lot of time can then be wasted trying to re-enter the premises for inspections, viewings, or even repairs and renovations." Continued Ian. 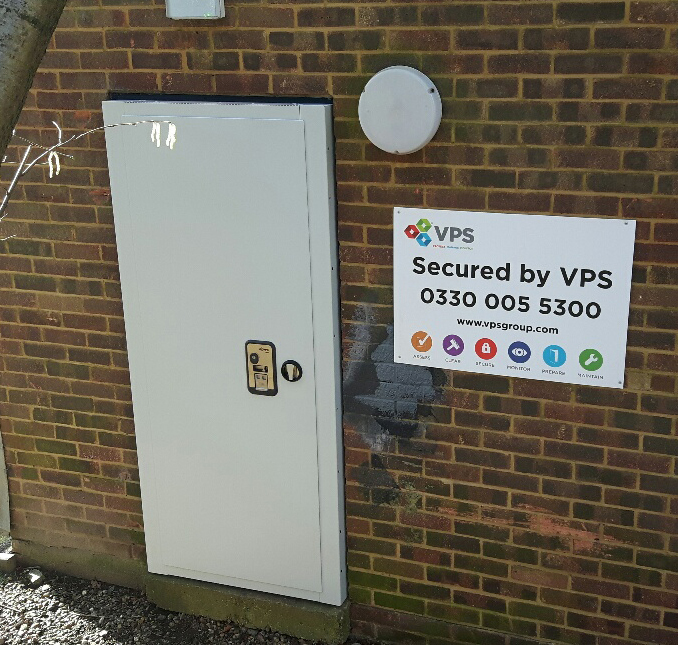 "The VPS SmartDoor is a clever, intelligent way around the problem facing many property and site owners looking for security and reliable ease of access. Now any approved person with a smartphone can obtain access when required and if a smartphone is not available, then a manual code can be provided. Unlocking the door to the property or site not only triggers a logged activity but also switches off any VPS SmartAlarms in the property." The VPS SmartDoor utilises bank-level encryption to ensure its security and has undergone heat and freeze testing. It has a mechanical override system on the inside which allows for safe emergency exits from those inside the property as it doesn't rely on keys or power. VPS are rolling out the innovation to both the social housing and commercial sectors this month and considers it ideal for a broad range of customers including home care, remote infrastructure sites and properties undergoing refurbishment. Activities cover security solutions (including its SmartTower CCTV product range, steel screens, manned guarding and live-in guardians), and property management (clearing, cleaning, waste disposal, maintenance and grounds services). Key customers include social housing organisations and a wide range of commercial customers, such as property managers, retailers, industrial, construction and infrastructure companies. This press release was distributed by ResponseSource Press Release Wire on behalf of VPS Group in the following categories: Public Sector, Third Sector & Legal, Manufacturing, Engineering & Energy, Construction & Property, for more information visit https://pressreleasewire.responsesource.com/about.